All the Jewish holidays have special customs and traditions that make then quite distinctive from each other. So if you are eating doughnuts and lighting a menora, you know that is is Hanukka. In the Jewish New year, Rosh haShana, one eats pomegranates and listen to a shofar. 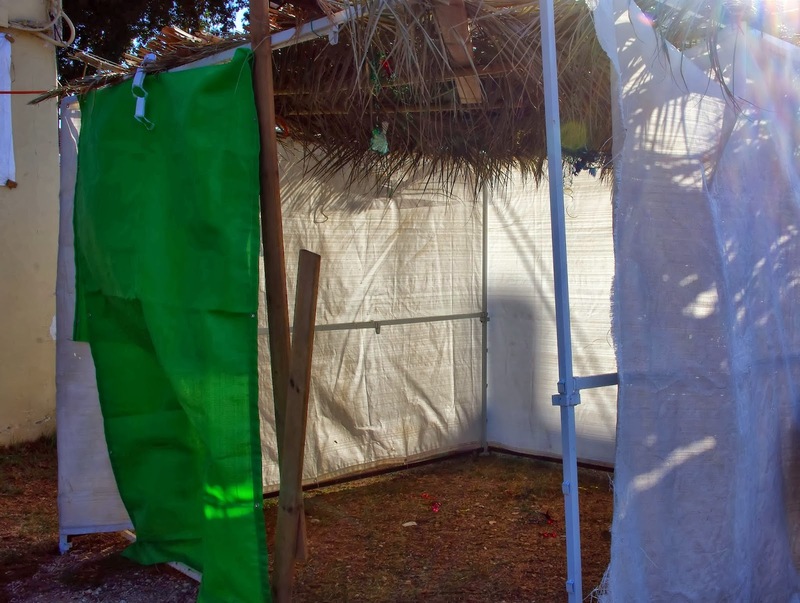 At Yom Kippur you fast and in Sukkot you sit in a little hut. Say what? A holiday where you sit in a little hut!? Yup, that is right. The little huts (or booths) represents the temporary dwellings the Hebrews liven in while they wandered for forty years in the desert. Sukkot is sometimes translated as the ' Feast of the Tabernacles' but that is not 100% correct. The tabernacle is known in Hebrew as the 'Mishkan' and is where the Ark of the Covenant was kept. Succot refers to the dwellings the people lived in. Right after Yom Kippur people start building these little huts in their yards and on their porches and balconies. 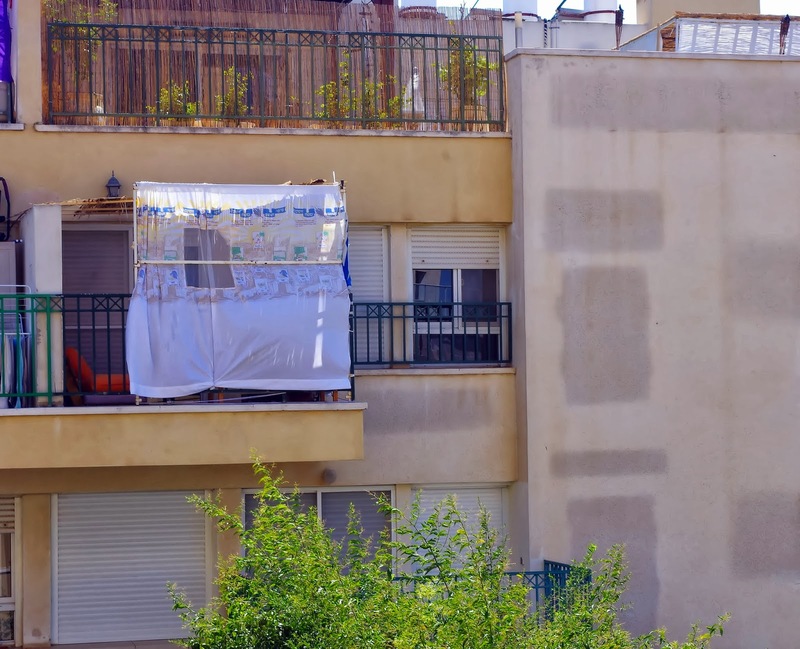 Any design goes, as long as it is a temporary structure with at least three walls and a roof that is made from something that grew in the earth such as branches or sticks. The branches must be arranged in such a way that the stars can be still be seen but there should be more shade that sun inside the hut. 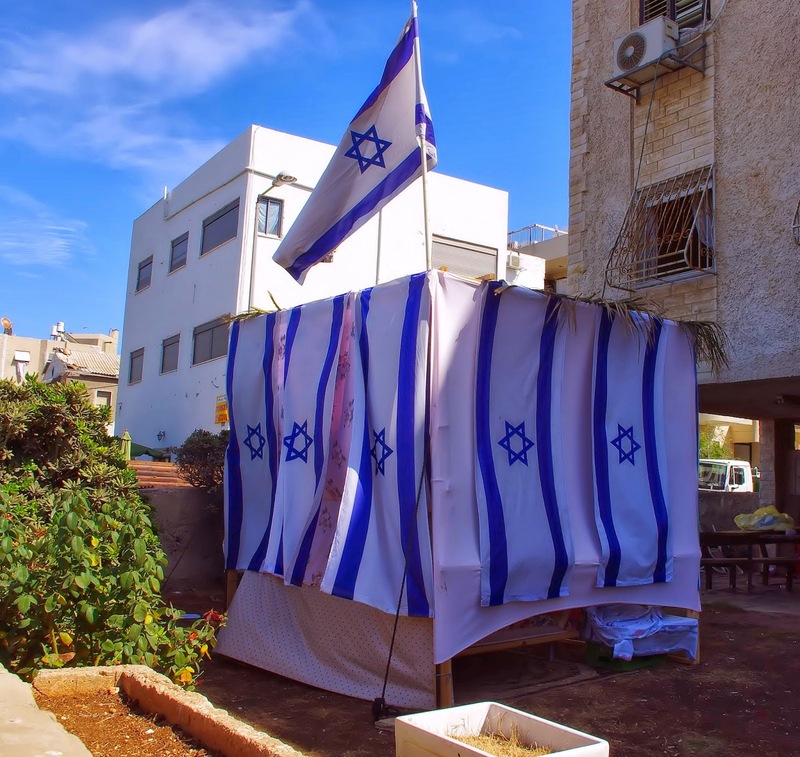 Of course children just love these little 'forts' and it is often their responsibility to decorate the sukkah. 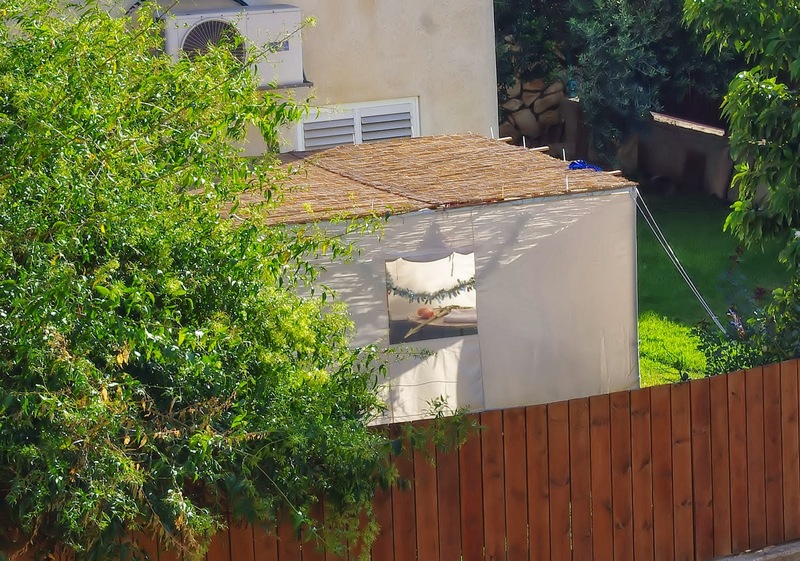 The Jewish commandment is to dwell in the sukkah during Sukkot and this is usually fulfilled by eating all the meals there during the seven days of Sukkot. Restaurants and hotels also make sure that their patrons have a succah to eat their meals in. I have even seen succas put up in a picnic place at the end of a hiking trail. Some people also try sleeping in their succas but the rain season in Israel starts at this time. It is not uncommon to see people run into their house in the middle of the night! As soon as Succot ends, the little huts are folded up and stored away until the next year and the dead branches and decorations thrown away. 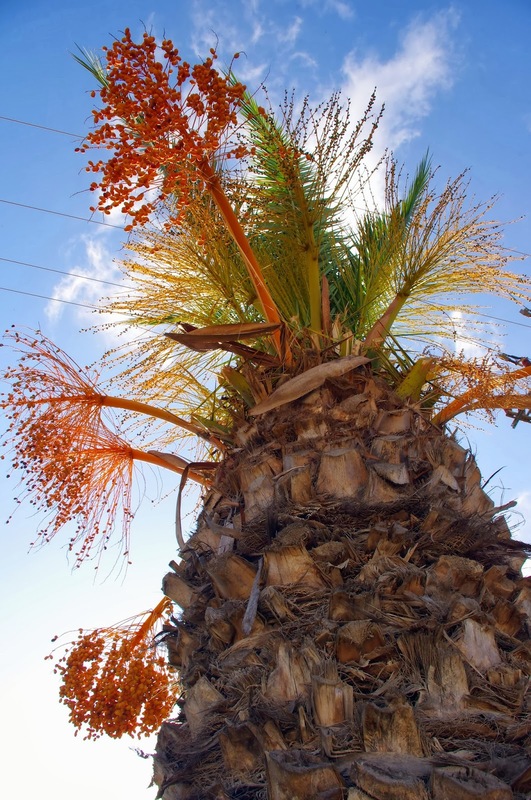 Just before Sukkot the municipalities give the palm and date trees 'hair cuts' so that people can use the old branches in their sukkahs.